Pie Experience is an award winning South America tour operator offering unique local experiences, adventure tours, and tailor-made vacations in Peru , Argentina , Bolivia and Ecuador. All tours are Sustainable Travel Certified, designed by travel experts for authentic travel experiences. 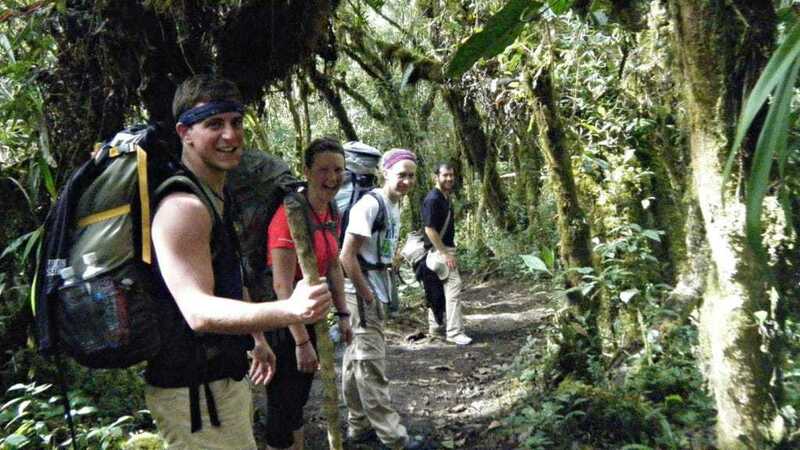 Explore the Sacred Valley’s fascinating landscapes with the Machu Picchu Jungle Trek and Inca Trail. 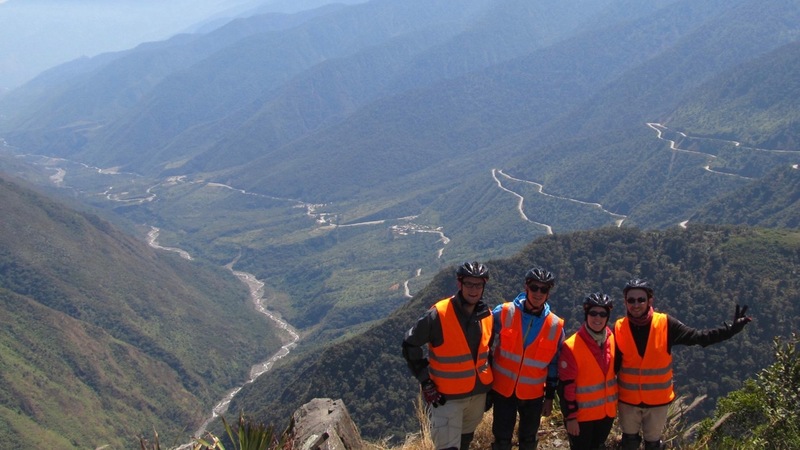 On this 4 day adventure you will bike, hike, and zipline your way through the Andean Mountains to the green valleys and jungle below. 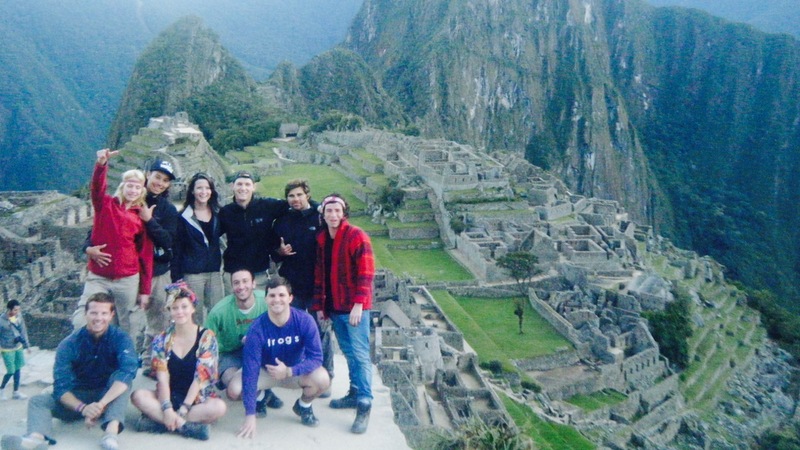 You will immerse yourself in the rich culture that surrounds Machu Picchu and the ancient Incan paths leading to it. This is an experience you won’t soon forget! 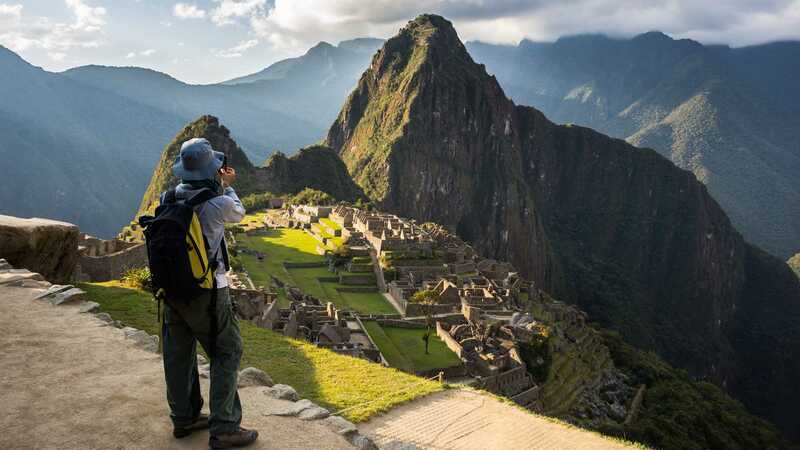 Follow in the footsteps of the Incas on an adrenaline-filled Machu Picchu Jungle Trek and Inca trail. 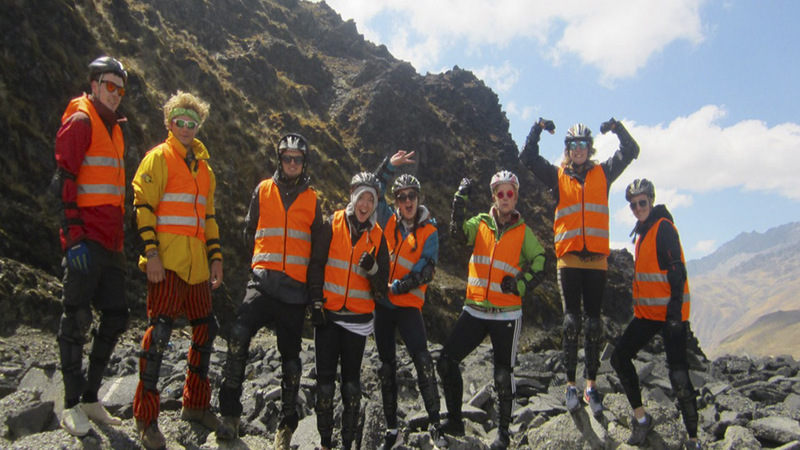 Journey through Peru’s mountainous terrain, cycling and hiking the extreme routes it offers. 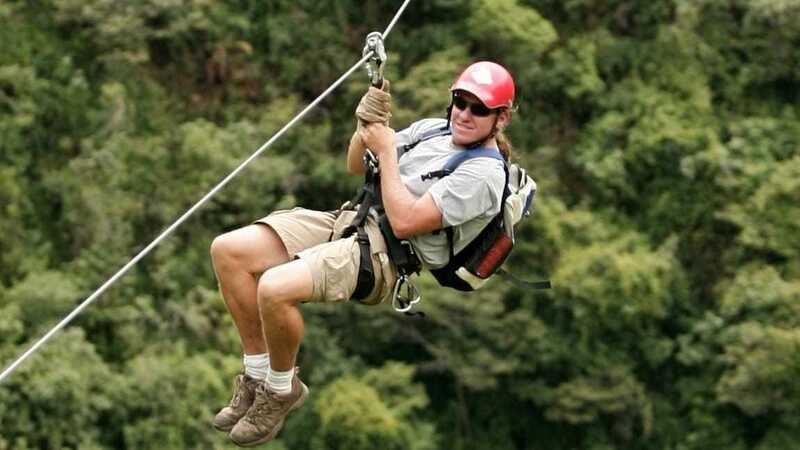 Feel the adrenaline rush from riding the highest zipline in Peru. Experience the stunning remoteness of theSacred Valley. Explore the ancient city of Machu Picchu at dawn and discover its mysterious secrets for yourself. 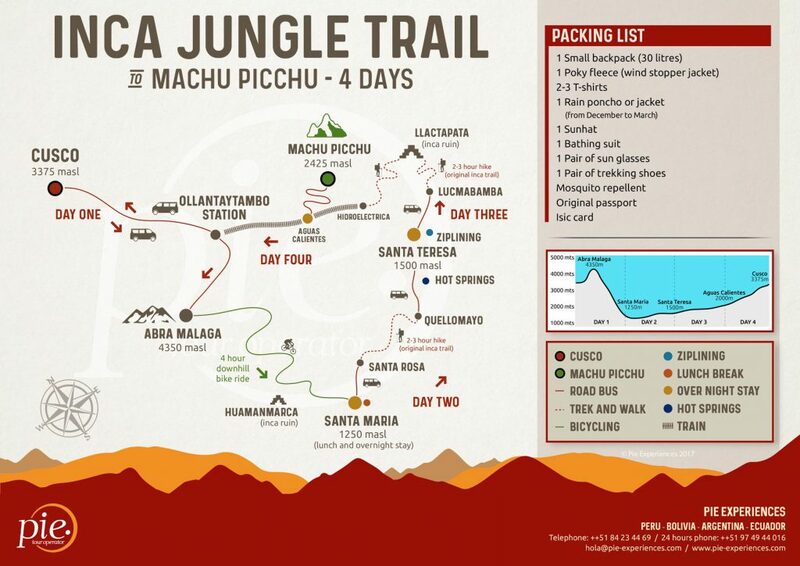 Click through to “Tour Plan” to see the full itinerary for the Machu Picchu Jungle Trek and Inca Trail. 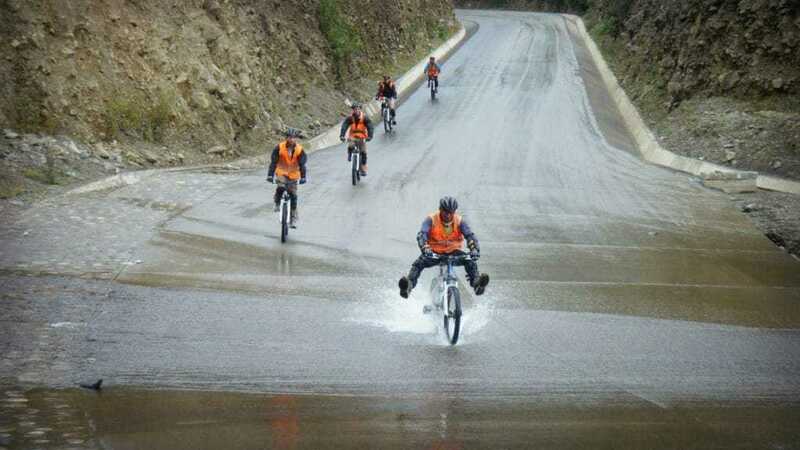 Day 1 | Cusco to Santa Maria: First, you will depart Cusco and head to Abra Malaga, where you will enjoy an exhilarating downhill bike ride to the town of Santa Maria. Along the way, you are scheduled to visit the archaeological site of Huamanmarca. 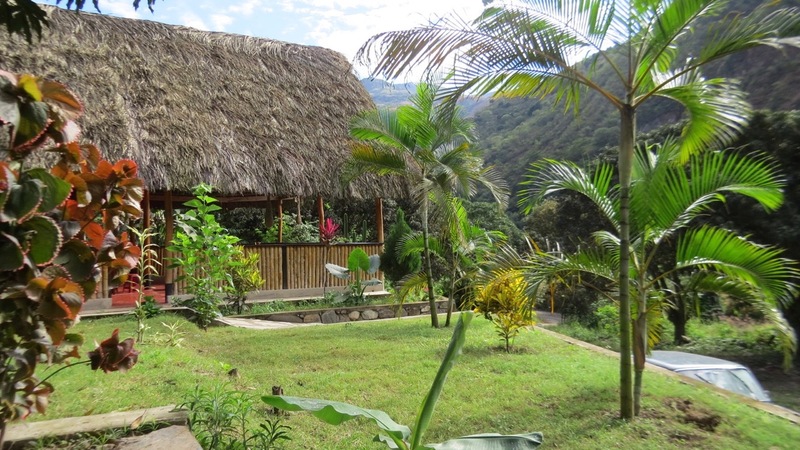 Moreover, after finishing the first day of activities, your overnight accommodation is at the Cochapata Lodge in Huyro. Biking time: 2:30 – 3:00 hours approx. Kilometers covered: 50 km. (31.0686 mi.) approx. Low point: 1`200 m./3937 ft. - High point: 4300 m./14107.61ft. approx. 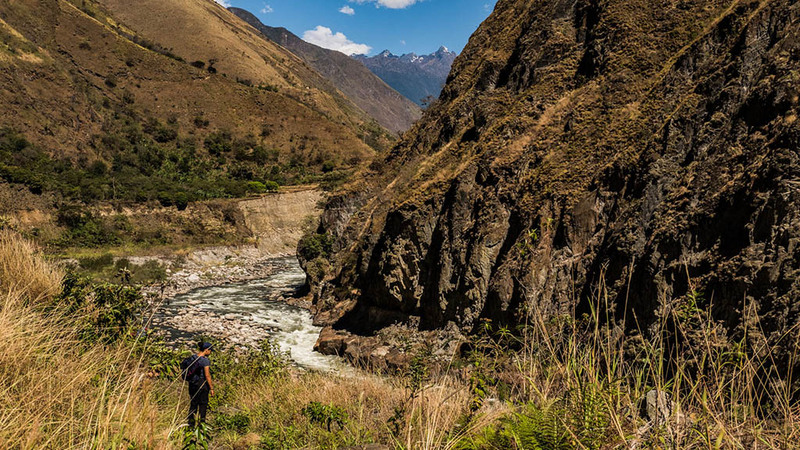 Day 2 | Santa Maria to Santa Teresa: To begin the day, you will trek along an Incan Trail leading to the highest zipline point in Peru. 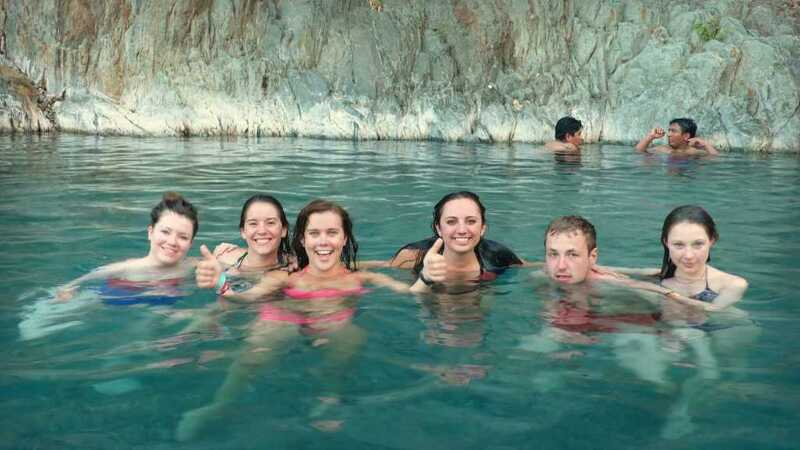 Afterwards, you are able to take a dip in the hotsprings at Cocalmayo to refresh your senses. 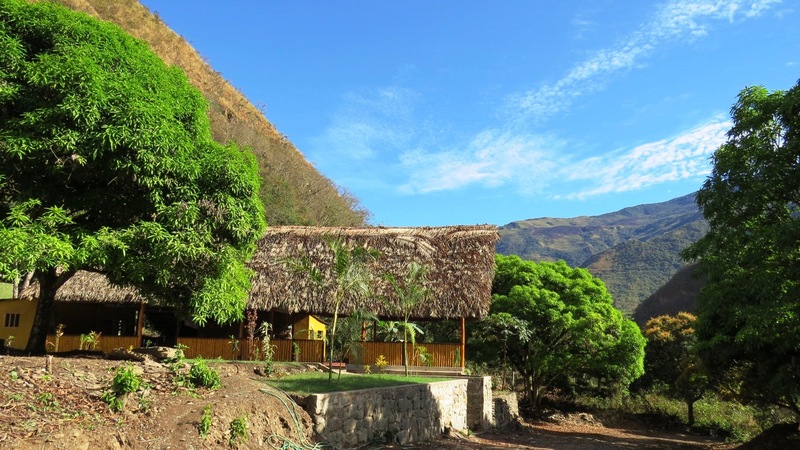 Subsequently, you end the day with a relaxing overnight stay in the eco-lodge Cola de Mono. Trekking time: 2:30 – 3:00 hours approx. Kilometers covered: 6 km. (31.0686 mi.) approx. Low point: 1`200 m./3937 ft. - High point: 1600 m./5249.3441ft. approx. 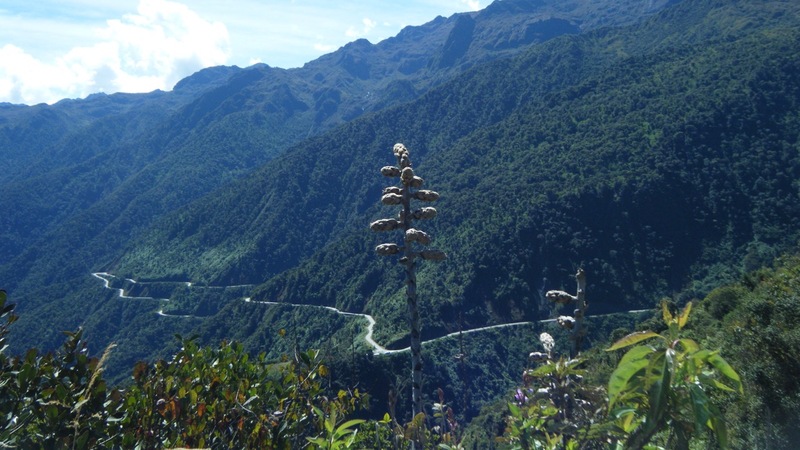 Day 3 | Santa Teresa to Aguas Calientes via Llactapacta Pass: Not only will you Wander along a remote Inca Trail towards Llactapacta Pass, but you will also get an exclusive preview of Machu Picchu. Meanwhile, you’ll take the train back to Aguas Calientes to rest up for tomorrow’s main event – Machu Picchu! Rightfully so, you’ll end up at the Tierra Viva Hotel, your overnight accommodation. Trekking time: 5:00 – 5:30 hours approx. Kilometers covered: 12 km. (31.0686 mi.) approx. Low point: 1`600 m./5249.344 ft. - High point: 2800 m./9186.352ft. approx. Day 4 | Aguas Calientes to Cusco via Machu Picchu: Rise and shine: wake up early for a brief bus ride to Machu Picchu. Firstly, you’ll explore the ruins with a guided tour. Additionally, you get the option to hike up Huayna Picchu. Later on, you return to Aguas Calientes by bus before taking the train back to Ollantaytambo. Thereafter, a private transfer will bring you back to homebase in Cusco. Tour time: 2:00 – 2:30 hours approx. Kilometers covered: 2.5 km. (8202.1mi.) approx. Low point: 2000m./6561.68 ft. - High point: 2400 m./7874.016ft. approx. Meals : 4 breakfast ,3 lunches , 3 dinners. Accommodation: 3 nights accommodation in lodges and hotel with private bedroom , hot water , towels and shampoo. Bike Equipment: Elbow and knee pads, gloves, helmet. You will receive an electronic voucher via e-mail once your booking is confirmed. If you wish to reschedule your trip, you are capable of choosing an alternate departure date, regardless if your booking has already been confirmed. Consequently, you will be limited to picking tours subject to availability. If the change is requested 30 days or more prior to the original trip departure, no change fees will be charged. 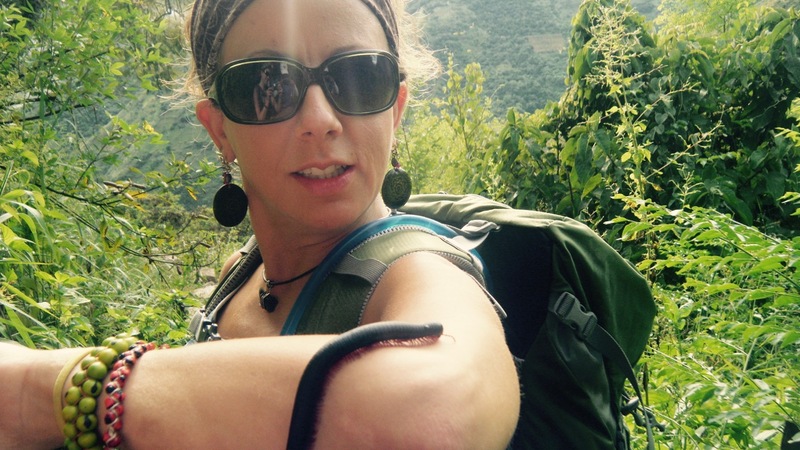 Zero change fees does not apply for Classic Inca trail 4 days or Inca Trail 2 days. Don’t Miss Out: Book Now, Pay Later! Simply pay an initial deposit and pay the rest later. 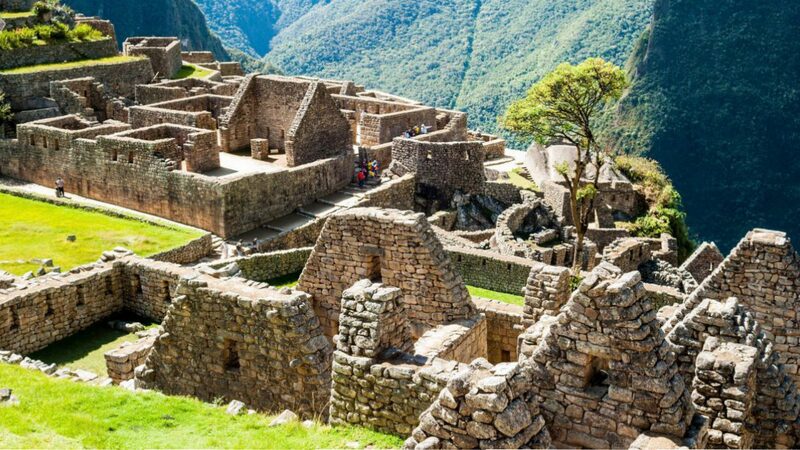 Beginning your adventure with the Inca Jungle Trail to Machu Picchu, you will be picked up early morning and driven through the stunning Sacred Valley; the cradle of the Inca civilization. Once you reach the 4,316m high Abra Malaga your guide will brief you on the finer details of the trip before suiting up with protective equipment. Then it is time to let the fun begin... freewheeling down quiet but challenging roads, past diverse landscapes, and ice capped mountains. Stopping for a rest, you will shed some layers quickly and keep cruising onwards and downwards towards Huamanmarca; site of a recently discovered archaeological Inca findings. Your tour guide will provide the historical background and the rest you can fill in for yourselves! 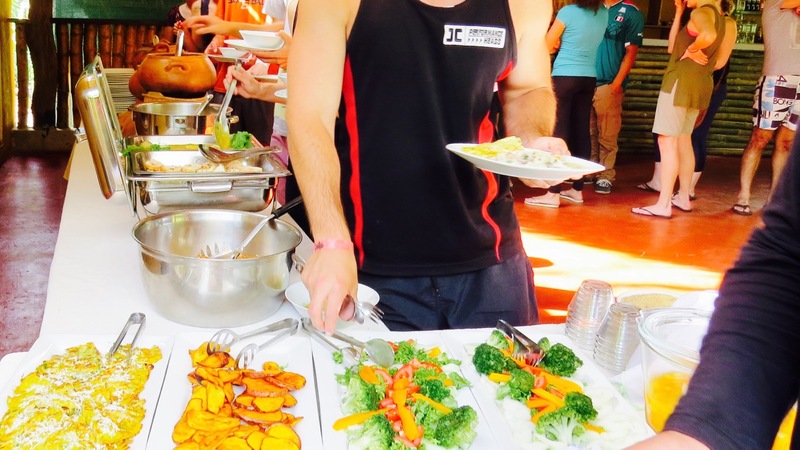 Here you will also enjoy an energizing lunch. Carry on, descending to 1,500 meters, while the jungle's edge rears up and the small and cute town of Santa Maria looms on the horizon. In Santa Maria you can connect to wifi to share photos from your wild ride, buy provisions or just rest your legs and enjoy a cold beer before a warm traditional Peruvian meal. Overnight in Santa Maria. Rise before the sun, shake out your weary limbs, and enjoy the finest indigenous coffee and a healthy breakfast. 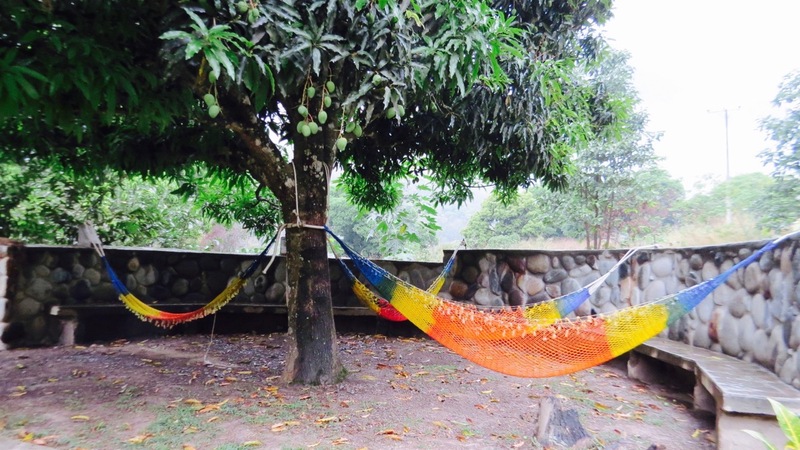 Under dawn skies you will take a bus, then a short trek along a trail until arriving at a family restaurant in Santa Rosa, where you can relax in hammocks, admire the coca plantations, and enjoy refreshments while being entertained by the family monkey. After walking for a short while you will reach a real Inca Trail, which winds around precipitous slopes with many sheer drop offs for approximately half a mile. Be warned this is not for people who suffer from vertigo! The descent continues for just over two hours until you reach Quellomayo. From Quellomayo you will catch a bus to the lodge where you will spend the night. 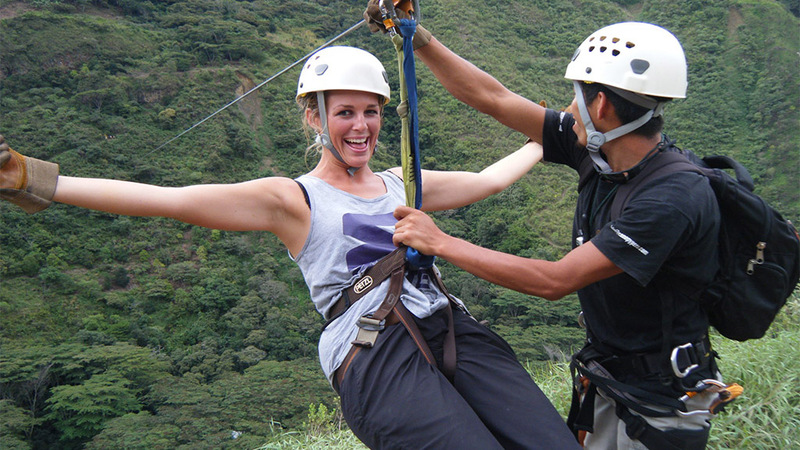 Upon your arrival to your Eco Lodge, you will have lunch and afterwards for those who love adrenaline head towards the highest zip line in Peru. 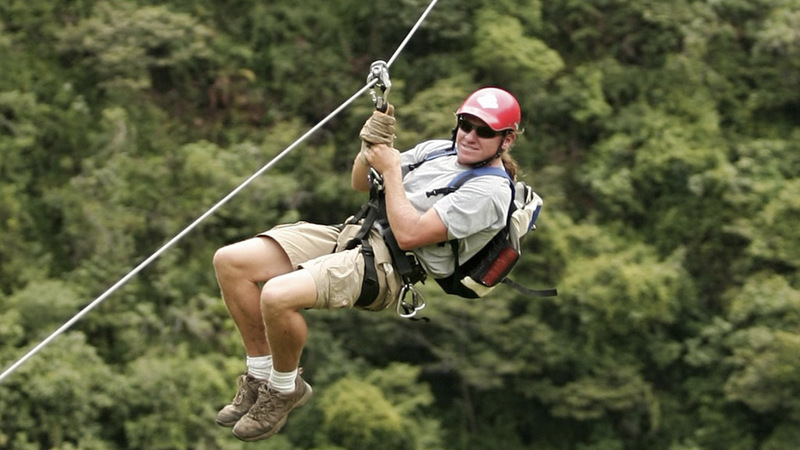 This zip line offers approximately two and half-hours of absolute fun and adrenaline, with 2500 meters of cables in six wild sections. 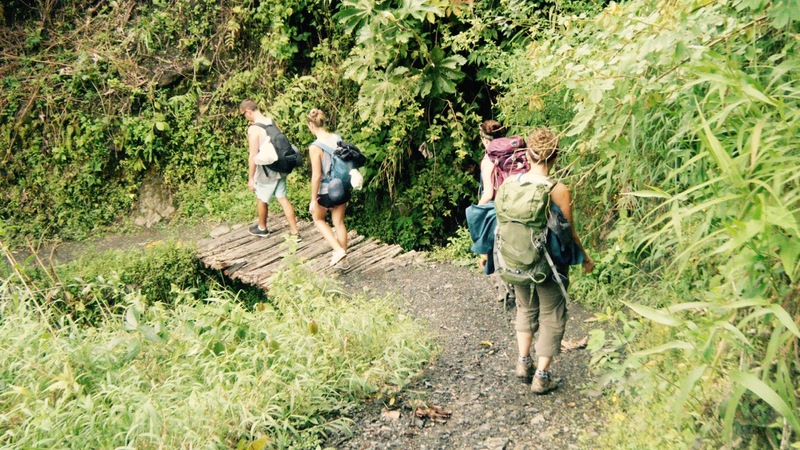 After this great experience, you'll head back to the charming lodge located in the middle of the jungle. 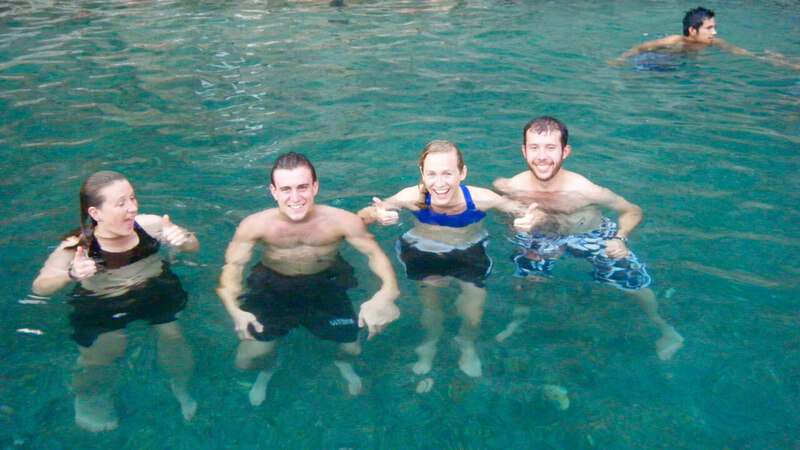 Before dinner you’ll have time to enjoy the hot springs of Cocalmayo, an amazing place in the middle of nowhere. Wake early and have breakfast before taking private transport to Lucmabamba, where there is another recently discovered Inca Trail. We are the only tour company to walk this part of the Inca Trail, so for three and a half hours you will feel like Adam and Eve walking amidst parrots in this tranquil Garden of Eden. You will be rewarded greatly for your efforts with a view of the majestic Machu Picchu from the top of Llactapata, flanked by the overwhelming peak of Salkantay. 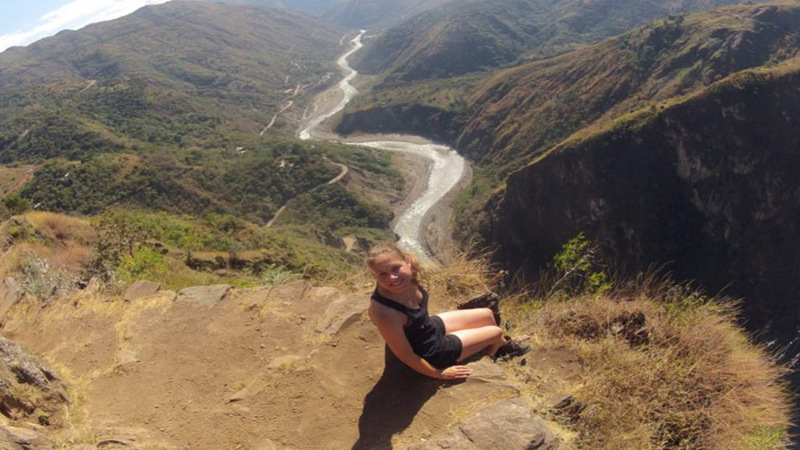 Gaze down on the other tourists who took the classic Inca Trail as you enjoy a refreshing picnic in this scenic spot. 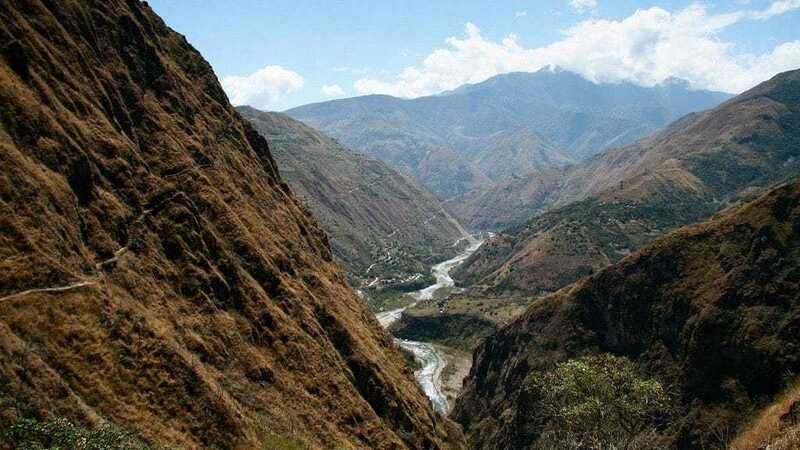 Later, it is only about a two-hour walk down to the train station where you will depart for Aguas Calientes. Nestled beneath Machu Picchu, you will taste the Andes in a local restaurant before retiring to your cozy accommodations with hot water and private bathrooms. You will get an early rise today to take the first bus to Machu Picchu at 5:30a.m. Arriving at the majestic ancient complex just before dawn, you will have a great chance to witness an out of this world sunrise of the mountains and valleys below. After, explore the ruins on your own and discover this wonder of the world with a guide for two hours. You will leave no stone unturned as you learn about the ancient city and its rediscovery by Hiram Binham in 1911. Afterwards you have free time to hang out with the llamas and try to capture the pure beauty of the site with your camera. Those who still have energy can set off for Huayna Picchu, which actually looks down on Machu Picchu. As your adventure comes to an end, you will retrace your steps bus then by train to Ollantaytambo. Taking a private bus to Cusco you will be dropped off at your designed accommodations. Your opinion is important to us! Here at pie experiences we greatly value your feedback, because thanks to your comments we can create more fascinating itineraries and confirm that we are doing an excellent job. Many of our clients also choose to post handy tips and advice about their travels. It’s great to know what to expect on a pie experiences tour before you go, so thank you for sharing your experience! Pie Experiences is an award winning South America tour operator offering unique local experiences, adventure tours and tailor-made vacations in Peru, Argentina, Bolivia and Ecuador. All tours are Sustainable Travel Certified, designed by travel experts for authentic travel experiences. Visit Argentina – a whirlwind of wine and tango! Visit Bolivia – a country built on the mountaintops! Visit Ecuador – a microcosm of South America! Please choose your destination country. You can choose more than one. How flexible are you ? What would you like to see and do ? Please give us more details about which activities would you like to do at your destination. What would make this your dream trip ? I'm looking for information with travel plans maybe next year.Not sure I m going to take this tripI m going for sure. Let´s go! Please provide us with your phone number to hear more about your plans in that way we can help you organize your amazing trip. Yes! I would like to receive PIE's newsletter on travel news & specials. How did you find the pre-trip communications and materials (e.g. proposed itinerary, trip information sheet, planning emails, packing list, etc.) sufficient and helpful? How was your overall experience with us ? Which experiences did you enjoy the most ? Any suggestions about your trip experience? Accepted file types: jpg, heif. May we share your photos on our website or social media ? Thanks! Who should we credit for the photos? Do you consent to our potentially using portions of your comments in the "Testimonials" section on our website? What pie experience destination would you be interested in next?